We all know and love the foil effects that we see so often on t-shirts, but did you know how easy it is produce. Print a transfer adhesive in the design that you wish to produce through 43T - 62T screen mesh. The use of NPT Foil Adhesive found in this category or in Best of Brands category is recommended for this. Dry this at approximately 110 degrees and allow to cool. Cut the foil to slightly larger than the image that you wish to produce then place the foil on the garment and transfer, using a Heat Press for 15 seconds at 170-180 degrees. Allow to fully cool, and then peel away. Where the adhesive has been printed the foil Will stick and where there is no adhesive, it will peel away leaving the desired image. Please note after application these foils are hand cool wash only otherwise the foil will fade and tarnish. 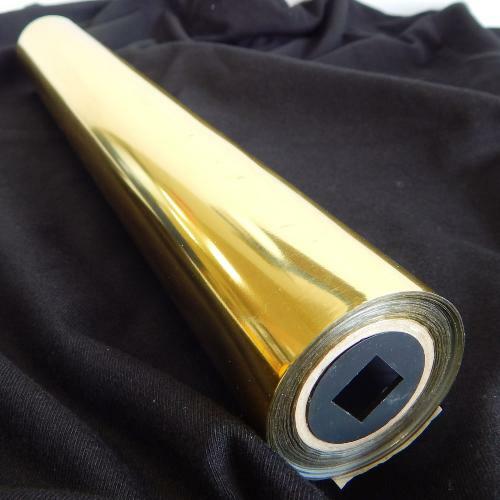 Despite Gold and Silver being by far the most popular foils a large number of specialty foils are available on request. For your information, both our adhesive and our foils themselves do not contain any phalates.